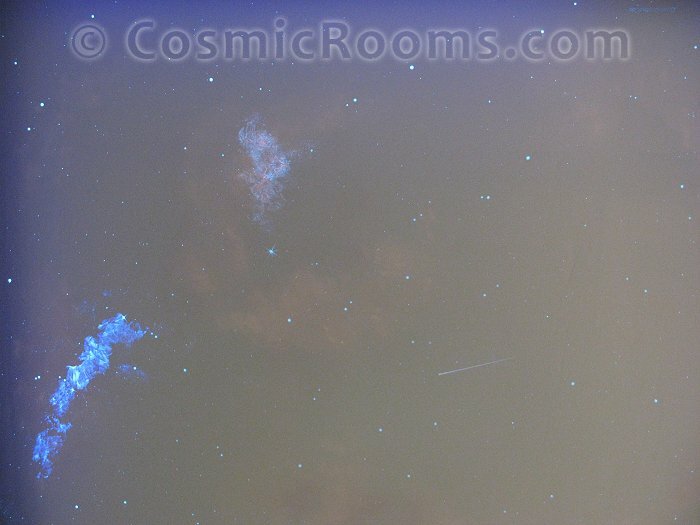 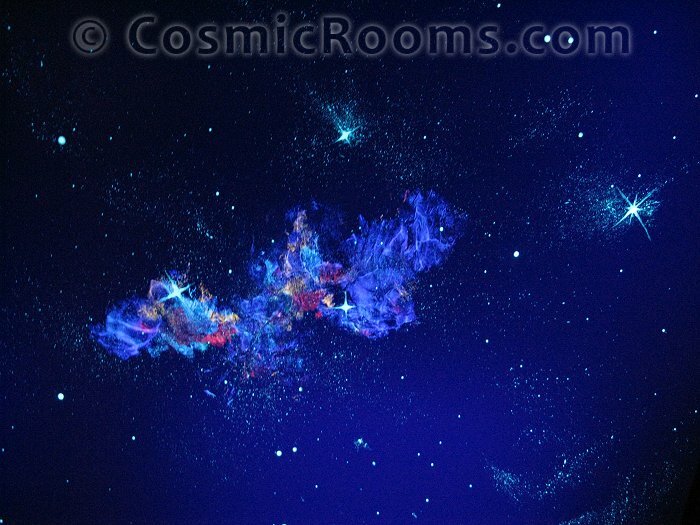 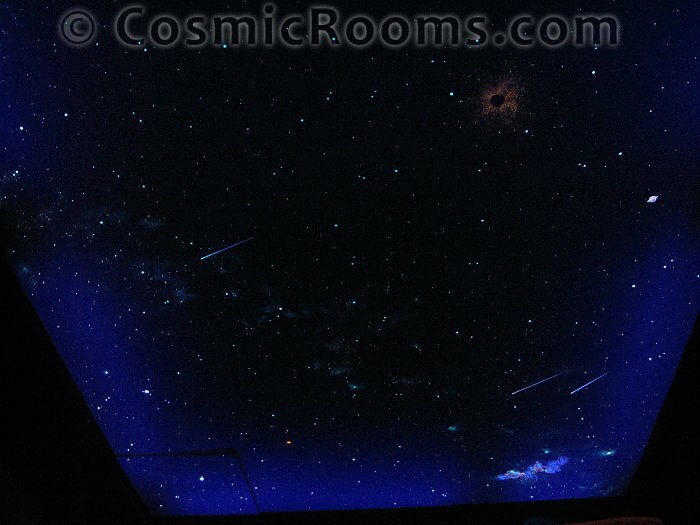 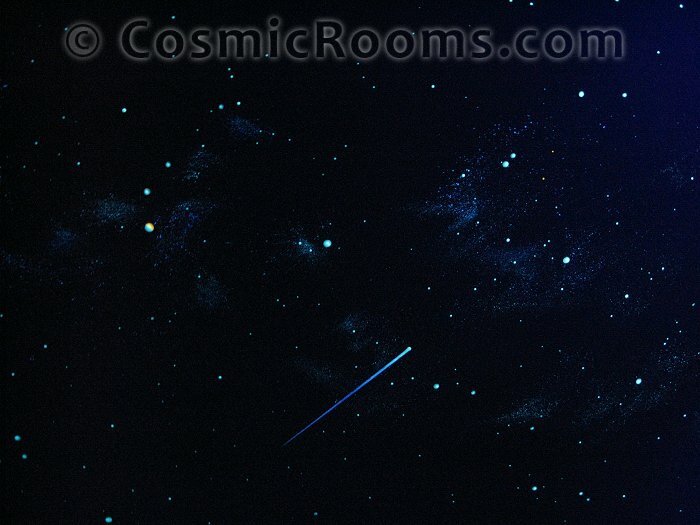 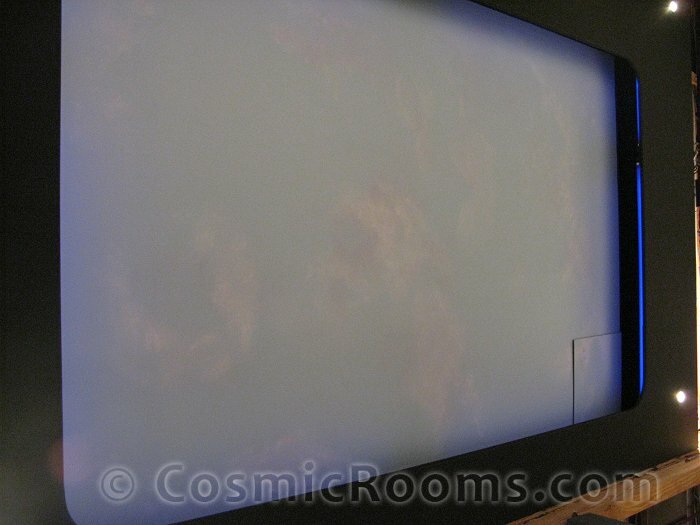 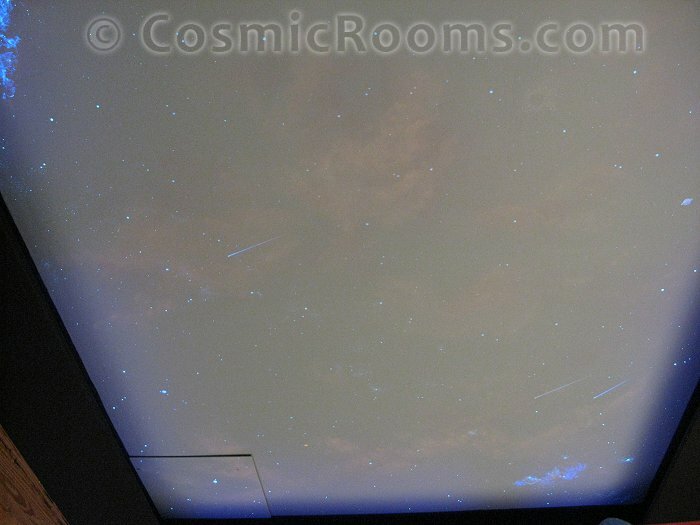 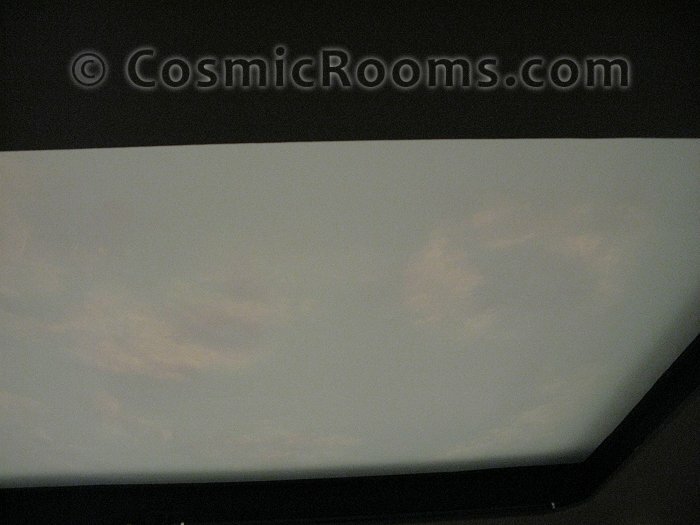 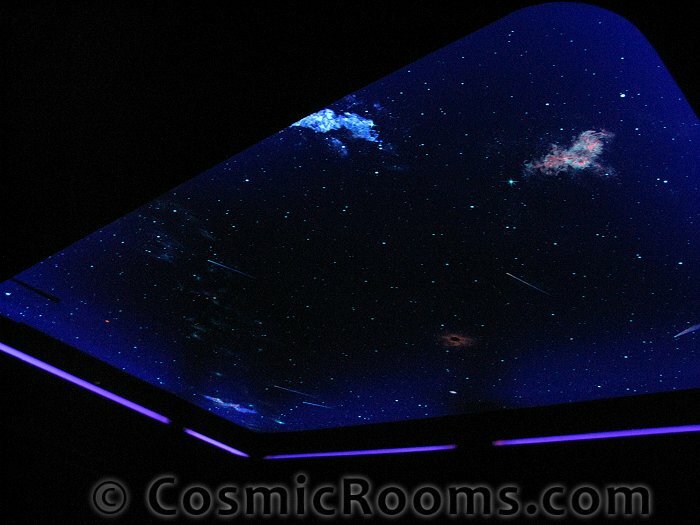 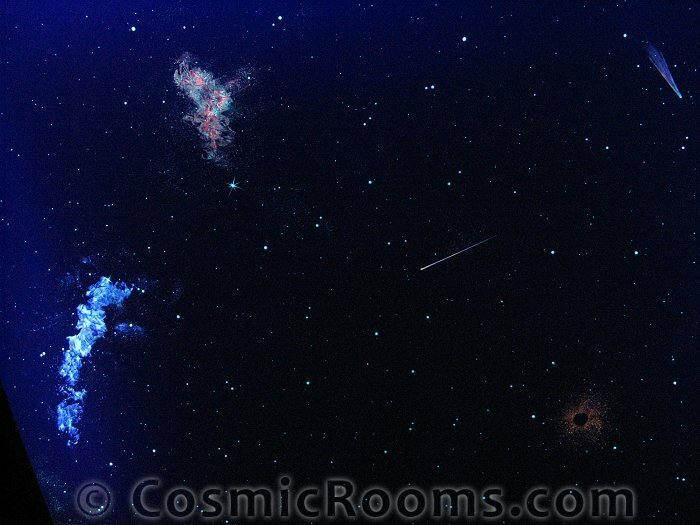 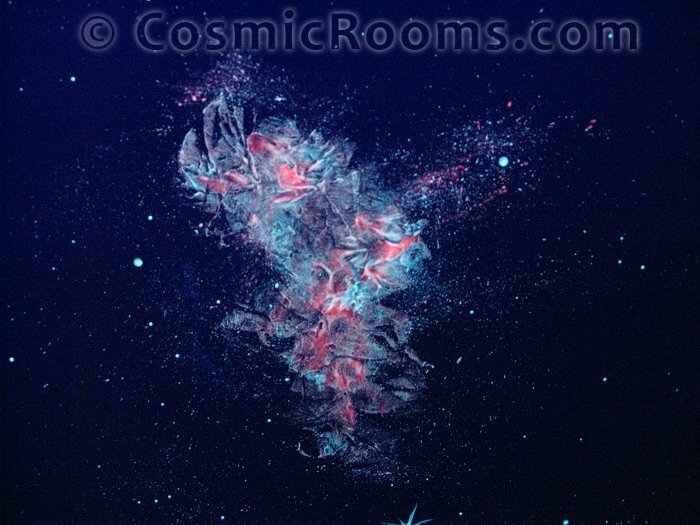 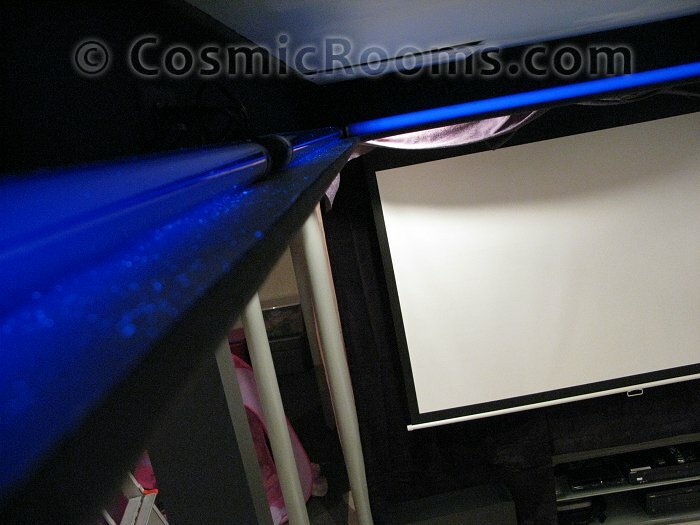 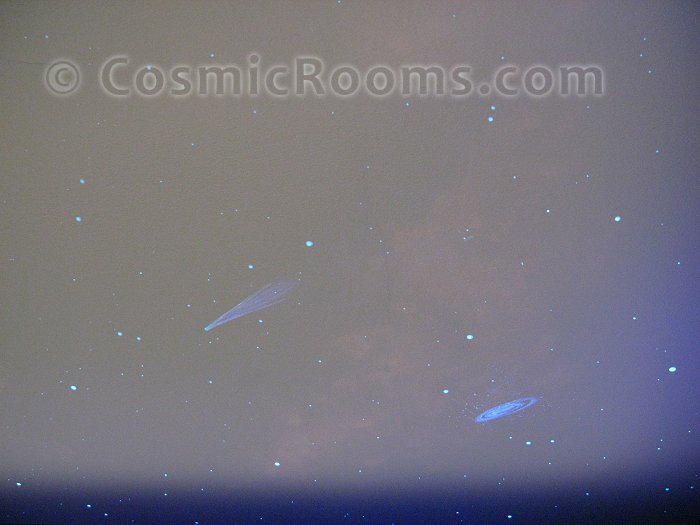 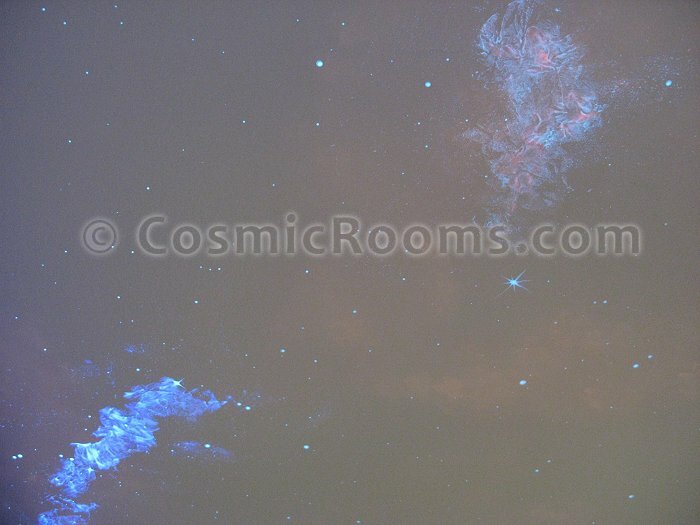 Turn your home theatre into an extra special drive-in movie experience with a stargazing ceiling mural! 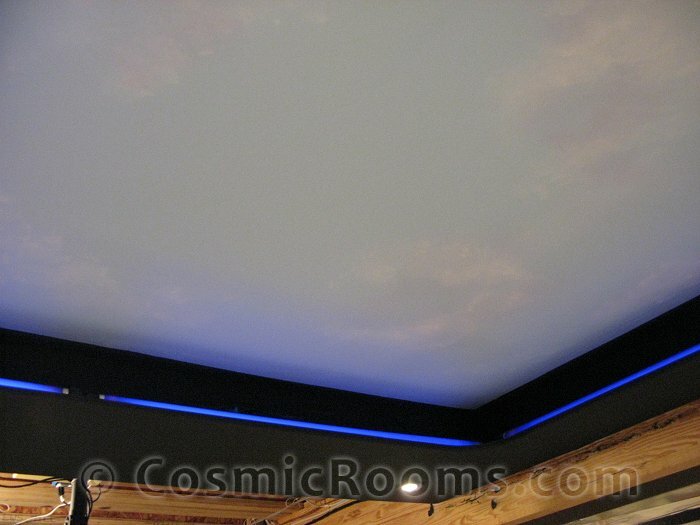 Last year I got an opportunity to paint my clouds and stars in a home theatre that was being built in the basement of a client's house. 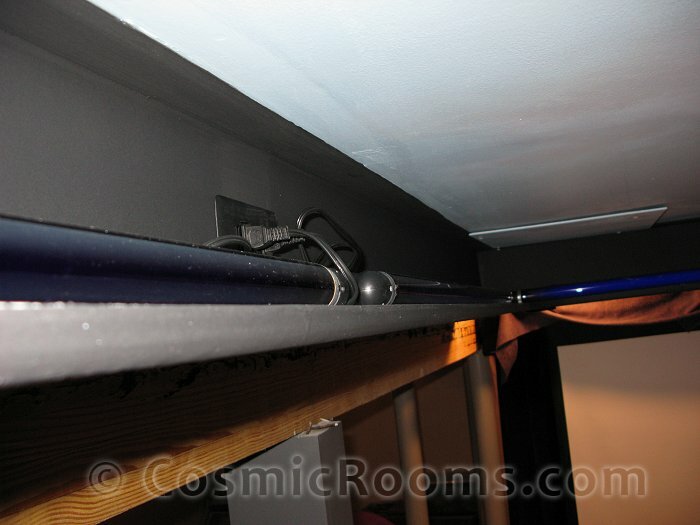 He was building a tray ceiling for the area above the seating sections and I suggested constructing a ledge area with outlets around the perimeter of the tray so that it can be super charged and illuminated for the deep space theme he was wanting. 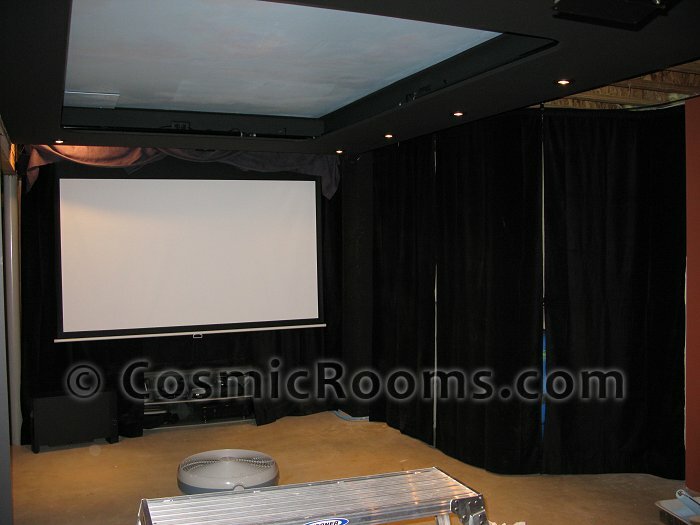 This was the perfect set up for stars in a home theatre, check out the pictures of this project below! 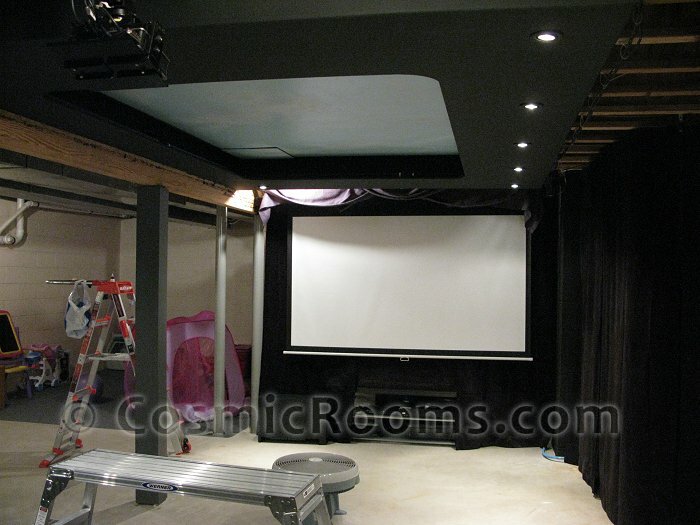 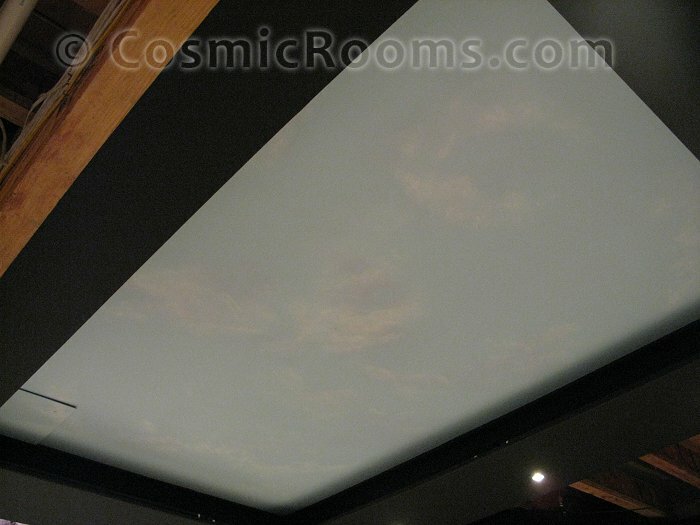 The Perfect Home theatre tray ceiling with clouds and stars!